Keep your office stylish and organized with the Tybalt bookcase. 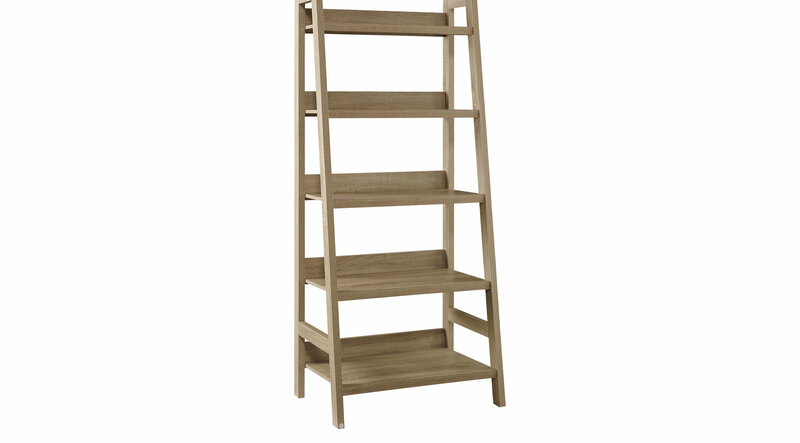 Perfect for adding storage and display space to your area, the Tracey Ladder Bookcase is sturdy and durable. Five spacious shelves provide ample space for books, accent pieces and frames. The gray finish and transitional design makes it an easy addition to your home's existing decor.